For the Snowdrop run this year we will first visit Stanton Long Church (next door to Sheena and Gordon's house) for coffee and cake served by local volunteers in aid of church funds, and then go on to inspect the snowdrops at Millichope Park We will then proceed to The Ragleth Inn, Little Stretton for lunch. St Michael and All Angels Church has for centuries been at the heart of this friendly community. Set in the beautiful Corvedale valley this small 13th century church has an entrance door dating from c.1200 and a weatherboarded belfry with pyramid roof. Millichope Park is a Greek-Revival building. It was built in the mid-19th century by Shropshire architect Edward Haycock for Reverend Norgrave Pemberton, Rector of Church Stretton, to replace a black and white timbered house. In 1544, the More family bought Lower Millichope and Thomas More, who inherited the estate, started the creation of the pleasure park. The grade II*, 25-acre landscaped garden includes large lakes, cascades and the George Stuert temple, which pre-dates the house and is perched at the top of a steep cliff rising out of the lake. 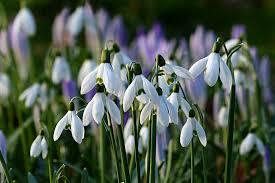 The park is renowned for its snowdrops and is rarely open to the public. Dating back to 1663, the Ragleth Inn offers all you expect from an English Country Inn. The village is just south of Church Stretton, lying snug between the hills on what used to be the main road to Ludlow before it was by-passed. Stanton Long village church TF13 6LQ (beware satnav error. Look out for our parking signs). Coffee/Tea and home baked cakes in the Church – all proceeds go to church restoration.